BOULDER BABES: June came and went in a fire fly flash of a hot summer moment and each day keeps getting better. After a successful five-day drive with my daughters from Florida to Colorado, we have been on the go hiking, climbing and eating our way through our beloved Boulder. 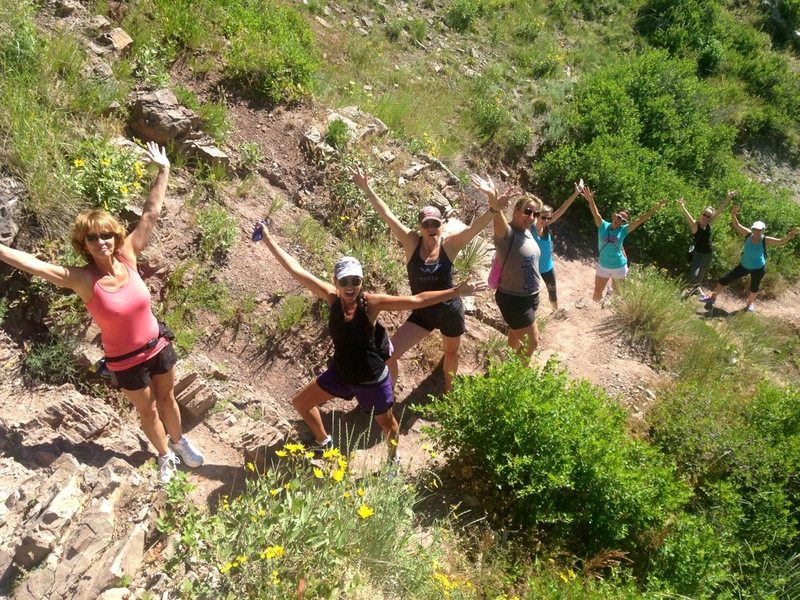 Wellfit’s first Boulder-based adventure camp for women was a total success. None of us wanted it to end! It’s a true blessing to see Boulder from fresh eyes and inspire others with all the wacky, unique and natural treasures Boulder has to offer. This foothills town sure does make my job easy. I love the intimacy and immersion of the small retreat setting. The theme of this weekend: your wish is your command. If you really want it you will find a way, otherwise you’ll find an excuse! WANDERLUST: Four days of yoga, music, nature play, eco and wellness-inspired food + products. 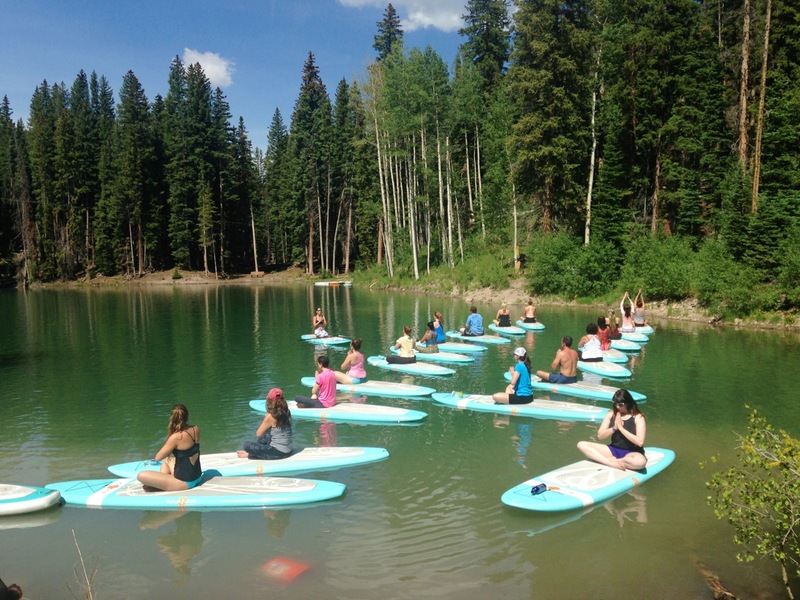 Wanderlust is the perfect summer camp for adults and heaven on earth for yogis! I have taught a lot of yoga in the water, almost always in warm and tropical settings. 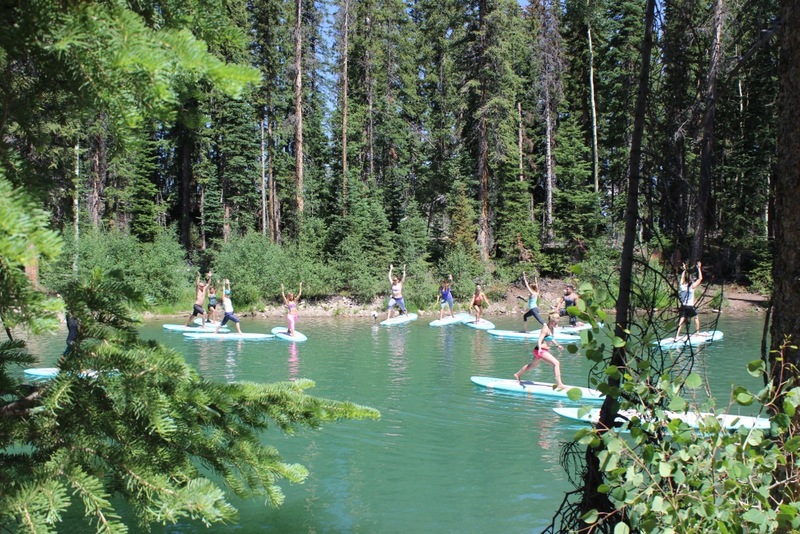 It was incredible to be floating in a frigid alpine lake, under the bluebird Colorado sky among the fresh pine scents. The theme of this weekend: no yogi left indoors. Get outside. Period. Do anything or nothing outdoors, but get out there! 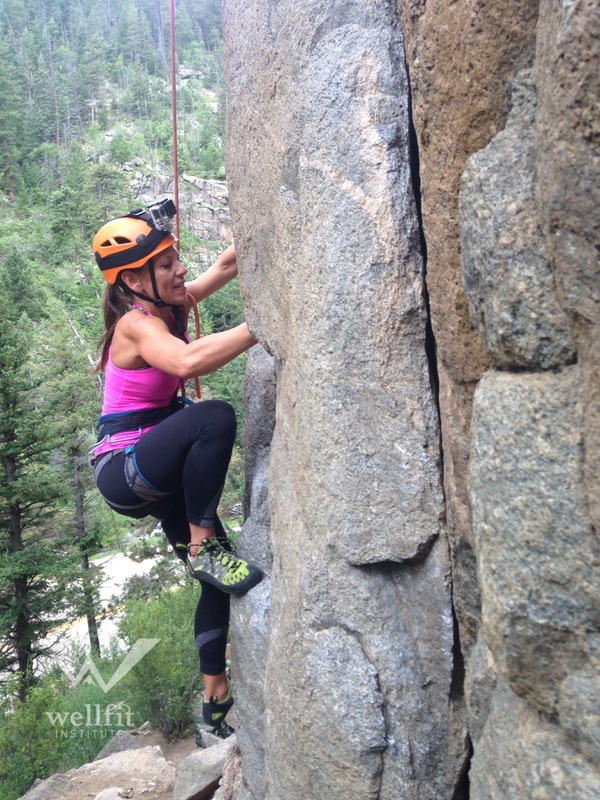 PEAKS FOUNDATION WOMEN’S LEADERSHIP & ADVENTURE SUMMIT: I felt honored to be a speaker at this incredible annual meeting of women. There were so many incredible women, everyone of us could have been a speaker. I was able to open the conference with a keynote called Adventure For Good. I also led trail running and paddleboard adventure sessions throughout the weekend. Not only did I get a great workout, I was surrounded by amazing women I now call friends! A couple nights before my presentation, I was talking to a friend about preparing the keynote and she asked me how I write a speech. I expressed that once you become so connected and comfortable about what you are speaking about, it comes from an authentic place, and there is no need for too much preparation. The information just flows right through me. I feel this way about my role as a leader and mentor of the Wellfit Girls Challenge and the intimacy of what I am doing with my life. I am living fully engaged and real. My life purpose is to motivate and inspire others, therefore I feel passionately about sharing my experiences, ideas and myself with others. The theme of this weekend: do you dare to dream of meeting your hearts longing? When you are living your passion and following your desires you either win or you learn. There is no losing! Stay on the path! 2. Create Vision. When challenged, return to your intention + let that highest good be your inspiration, not what is popular or easy in the moment. 3. Putting personal preferences aside for the good of the group. 4. Ask for help + then accept that help.